New Winter 2018: Pretty in pink and other light pastels, this girls ornament personalized just for her will be an instant favorite! The birthday girl personalized Christmas ornament stars a cute lass holding balloons in one hand and a deliciously designed cupcake in the other. These are personalized birthday ornaments, so give us the custom information you'd like to appear, and an artist will paint it by hand in a pretty font. 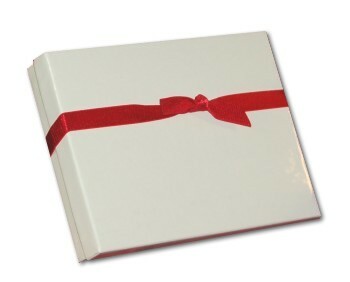 This durable resin ornament arrives in a custom velvet gift and storage bag with a drawstring enclosure. 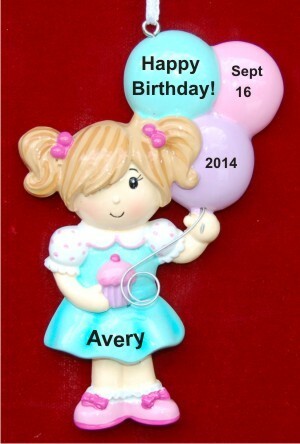 Delight the birthday gal this year with the balloons personalized ornament for girls in beautiful, soft colors!